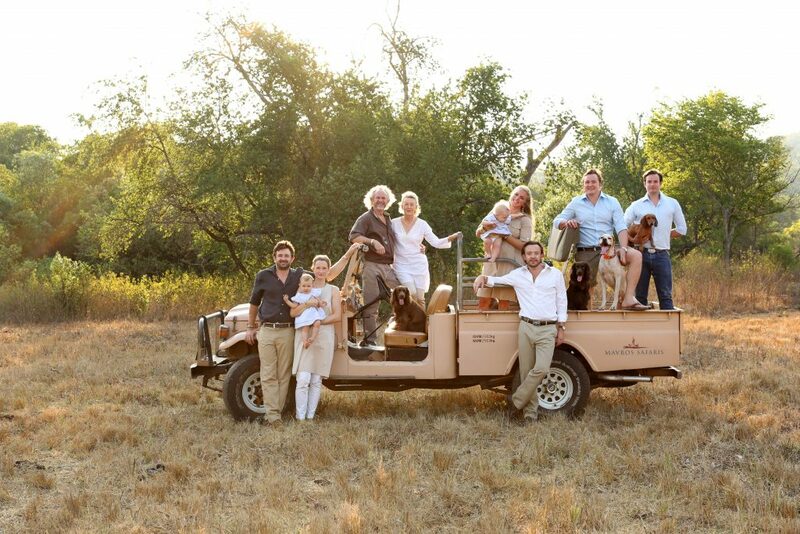 From the family behind Africa’s iconic silverware brand, Patrick Mavros, comes Mavros Safaris, Alexander Mavros and his wife Alexandra have spent years curating unique Zimbabwean experiences for all ages, understanding that family time is precious and epic adventures are key to creating lasting memories. As fifth-generation Zimbabweans, they have tapped into their extensive contacts to create incredible family adventures – whether playing football on the riverbed beneath the Chilojo Cliffs at Ant Kashula’s exclusive tented camp, tracking fossils on a dinosaur footprint safari in Lake Kariba or an adrenaline-pumpling ziplining and canopy tour in the Eastern Highlands. As with all Mavros Safari journeys, this new portfolio will include unpredictable circuits that focus on exploring, learning and seeing the unexpected with off-the-beaten track experiences. This curated itinerary is ideal for stimulating both young and old minds, offering families the opportunity to experience to learn new skills and go beyond a traditional wildlife safari. The journey begins with a charter flight to Musango Safari Camp, with owner and renowned guide Steve Edwards. Steve has been collecting dinosaur fossils for the last 15 years and has to date discovered six dinosaur fossil bed sites on the shores of Kariba Dam. Almost all of his finds are from the Triassic period, dating back 150 to 250 million years. Families of all ages will love fossiling for dinosaur footprints with Steve, as he takes them on a private boat journey to where these remains were discovered. From here, guests will move onto Bumi Hills Safari Lodge on Lake Kariba. Families can spend their days cruising the lake on a private boat journey, going on scenic lakeside walking safaris to spot fossilied dinosaur remains and game drives in search of the Matusadona lions. From here, they will take a charter flight to Little Ruckomechi. Set in Mana Pools National Park, Little Ruckomechi has just four tents in the heart of a private concession, offering a secluded haven for wildlife lovers. This signature itinerary with Mavros Safaris begins at Gonarezhou Bush Camp – an exclusive-use, mobile tented camp in the Gonarezhou National Park. Gonarezhou Bush Camp is owned and managed by Ant and Rawana Kaschula – two of Zimbabwe’s top guides – who also have a young family which accompany them in the bush. The camp offers brilliant guiding, total exclusivity, and for children – Gonarezhou doesn’t have a lot of big cats, so it’s easier for them to get out of the vehicle and explore with Ant. From here, families will continue on to Amalinda Lodge, an African inspired refuge in the Matobo Hills. Here, families can hike in search of ancient cave art and bike ride through local villages with an Amalinda guide – pedalling their way through incredible rural homesteads. Families will jthen ourney onwards for a big game safari in Hwange at the stylish Somalisa Acacia on the Zambezi. Somalisa Acacia has recently under gone a complete rebuild and now comprises of two family units with inter-leading walkways between the parents and children’s rooms which are both en-suite. The camp has specialist family guides, ensuring that activities are as enjoyable for the youngsters as it is for adults. The next stop on this journey is in Victoria Falls, at the Victoria Falls River Lodge. The property’s luxury canvas-under-thatch lodgings are situated on the banks of the mighty Zambezi River – so close to Victoria Falls that the iconic spray may be seen in the distance. In addition to game drives and visits to Victoria Falls, the lodge has a great ‘young explorers program’ for children to get to grips with safari basics, then rest up and indulge in the kids spa. Families with older children can rest assured boredom will not ensue with Mavros Safaris’ off-road foodie adventure with Dean Dowdney as the ‘Safari Butler’. Accompanied by his gourmet bush kitchen and craft gin bar on the back of his 4×4, guests will travel through rural communities, meet locals and picnic at places no-one has ever dined at before. His passion for Zimbabwe and bush fire cuisine will see families enjoy stories around the campfire, while dining on delicious dishes such as thick rump steaks cooked on mopani wood kindling, freshly caught bream and traditional sadza and stew. In addition to game drives at each of the lodges, the journey includes a stop in the Eastern Highlands, where teens can experience the new Sky Bridge walk and zipline over Mutarazi Falls, Stretching to lengths of 70-90 metres, the Sky Bridge walk is made of plank and rope, providing an adrenaline-pumping view of the falls and the gorge. Adding to this, a 400-metre long zip line flies from one edge of the gorge to the other. The zip line is touted as the longest in Africa and is also among the world’s longest zip lines. For parents not quite daring enough to take on the adrenaline-pumping views, the rest of the Eastern Highlands awaits with a tea plantation and canopy tour, as well as mountaineering in Chimanimani. Throughout the trip, guests will stay in a mix of private cottages, boutique hotels and safari lodges to keep older teens entertained.